When you sell products with Oberlo, you do not need to stock inventory, therefore, all products are shipped by the suppliers. When you purchase an item from the supplier, you will have to pay for the shipping. The shipping cost depends on the shipping method and the country you are shipping products to, so you can see the potential cost on each product page. 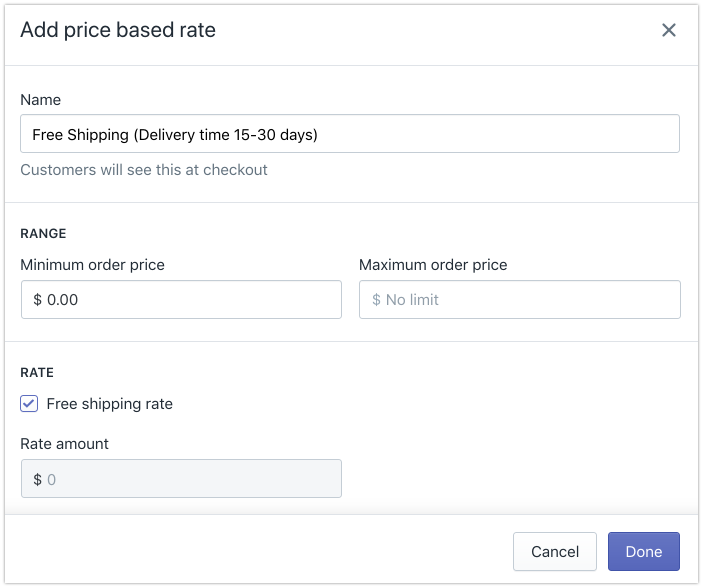 In your Shopify store, you can charge your customers for the shipping, or make the shipping as free and include the potential cost of the fee in the product price. This will ensure, that you will not face any loses. 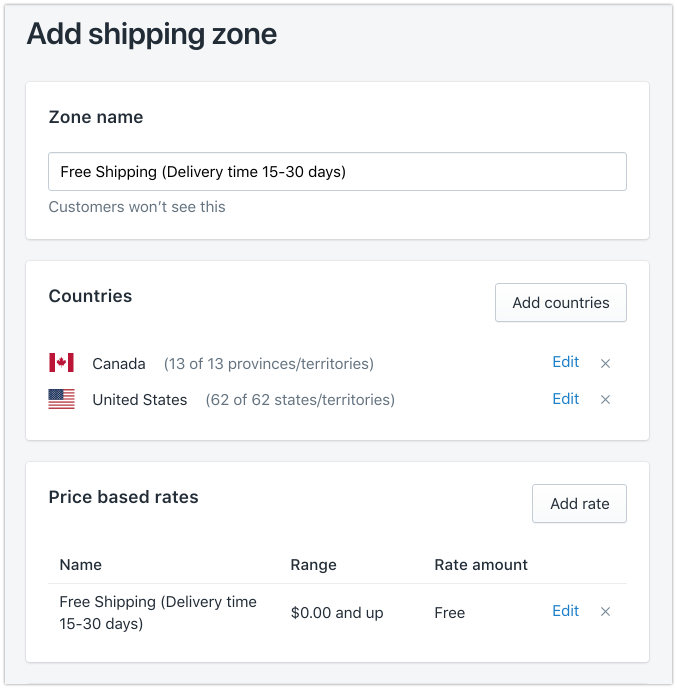 Oberlo does not import products with the shipping options (delivery time or cost) included to Shopify, therefore, you need to set your preferences in Shopify > Settings > Shipping page. Take note, that you only need to pay attention to the "Shipping origin" and "Shipping rates at checkout" sections, and do not need to do anything with other settings below. When you sign up for a Shopify account, you are asked to add your address. This address is automatically added to the "Shipping origin" section, and you can leave it here as it is. As you are dropshipping with Oberlo, it will not be used, and your customers will not see it. -Shipping rates, how much you want to charge your customers. Note: Oberlo does not work with the shipping rates that are calculated at checkout, therefore, make sure that they are deleted in the "Shipping zones" section. Click "Add Shipping Zone" to create a new shipping zone. On the newly opened page, you need to set three sub-settings, and other settings leave with no options. Zone name - give a name to the new shipping zone, which will be visible only to you. Countries - add countries to this specific shipping zone. To add all countries at once, simply select "Rest of the world". Price based rates - set how much you want to charge customers for the shipping. Shopify allows to set the price-based or weight-based shipping rates, but, we recommend using price-based shipping rates when dropshipping with Oberlo. Name - give a name of the rate, which will be visible to your customers. You can also write the estimated delivery time in this field. Range - set the shopping cart value to which the shipping fee will be applied to. Rate - add a shipping fee amount or make the shipping as free. To make sure that your settings are set correctly, we would recommend visiting your Shopify store as a customer, adding product to the shopping cart, moving to the checkout to see how the shipping options look like.